In some simtowns there is a community with Greek origin (like my Kefalonian neighbourhood), and where there are Greeks, there is of course at least one Greek Orthodox church. 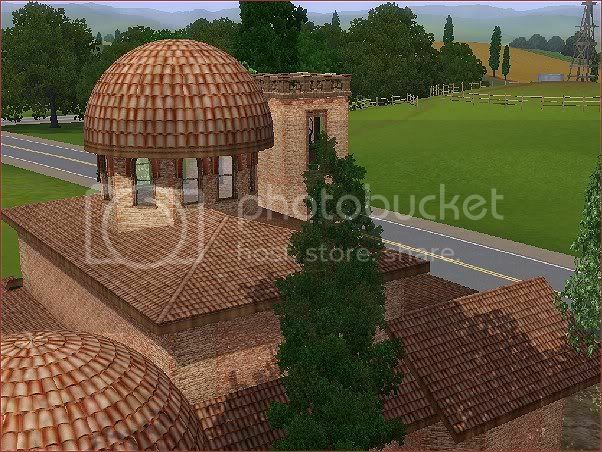 The Greek sims are very proud of their old church from the byzantine period, and they use it frequently. Obviously they go to church to pray or light a candle, but it is of course the natural center for any big, Greek, fat wedding, and the obvious place to meet at the important village- and church celebrations; the Panegyri. The name of the church, Agia Sophia, is commonly translated as Saint Sophia, which is associated with The Holyness of God's wisdom. 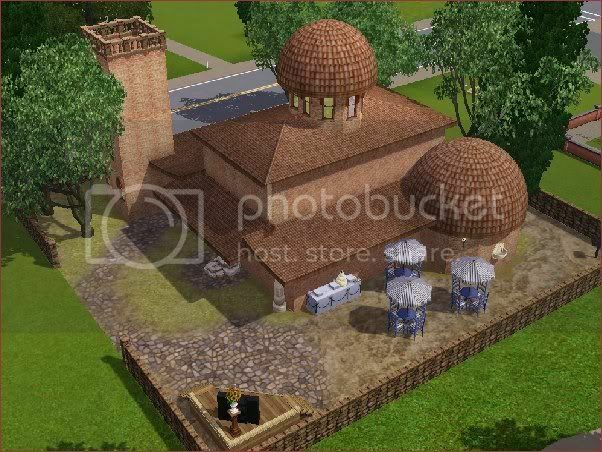 My Agia Sophia is inspired by a real Agia Sophia and other wonderful byzantine churches at Mystras, Greece, but it is of course adapted for the sims. 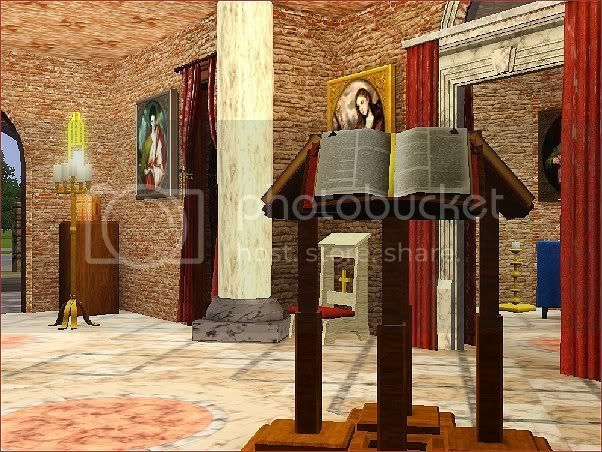 The Church has one usable floor, and you are able to arrange a wedding on this lot.